Located just a few minutes drive from the immensely popular Joshua Tree National Park, sits a motel oozing rustic charm and rich Hollywood history. The Pioneertown Motel is situated in the small and remote community of Pioneertown, which was originally founded in 1946 by a group of Hollywood investors — including actors Roy Rogers and Gene Autry. They sought to create a replica of an old 19th-century western set that would eventually materialize into a town worth visiting. Much of the town still remains; including its false-front facades resembling frontier stables, saloons, and jails; which now house a few shops. As well as its storied motel; where they would stay up into the night, drinking and playing cards. 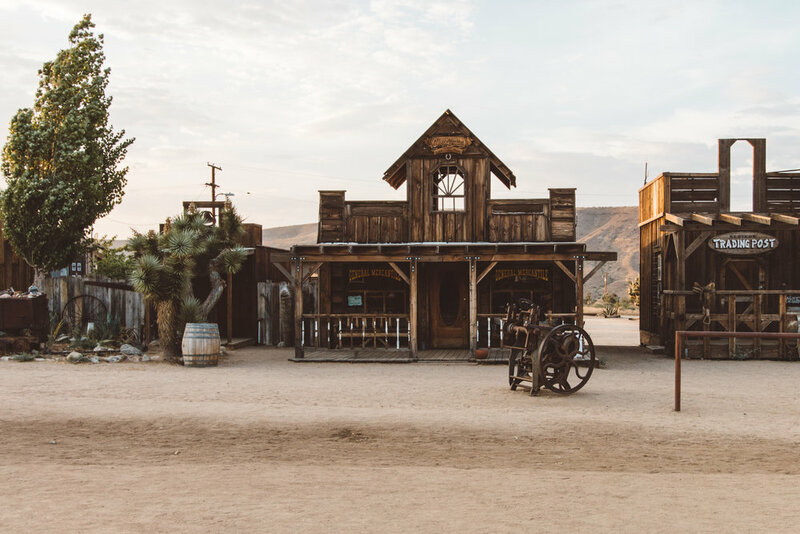 Although, the dream of turning Pioneertown into a sprawling getaway never materialized; decades later it's having somewhat of a renaissance thanks to the influx of artists, entrepreneurs and free-spirits. 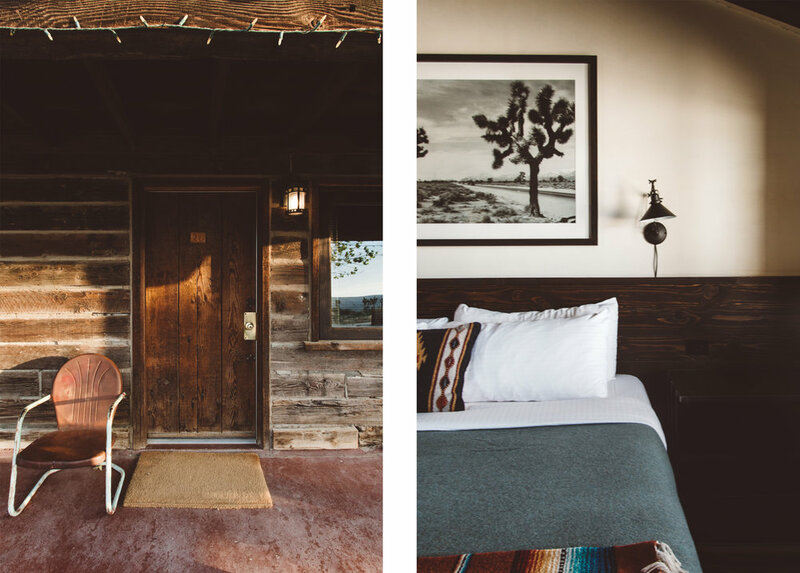 The Pioneertown Motel is not only still-standing, but thanks to new owners Mike and Matt French; this 20 room motel has been given new life. Since acquiring the motel in 2014; they have spent the last three years designing and restoring this historical property. It's been upgraded and modernized, while still retaining its old western charm. The property is surrounded by protected wilderness, rare California flat top mesas and incredible Joshua trees. It's a great place to get away, enjoy the desert views and maybe grab some barbecue and a show at nearby Pappy & Harriet's. Each room is carefully crafted and comes equipped with only the essentials. Providing the perfect place to escape, relax and enjoy the desert serenity. If you are seeking a unique experience and to indulge in some old western charm, make sure to pay this place a visit. Music, barbecue and a comfortable mattress... what more can you ask for?